This post is sponsored by Global Influence Network on behalf of Walmart and Tresemme. Maybe it’s the pageant girl in me but I love voluminous hair! I’m always envious of those stars who manage to have big, beautiful hair on the red carpet. Unfortunately, I have fine hair that can often look limp unless I heat style it. We all know what happens when you use heat on your hair too often. Split. Ends. Thankfully, I have Tresemme’s Split Remedy Leave-In Conditioner to help keep my hair looking healthy and voluminous. 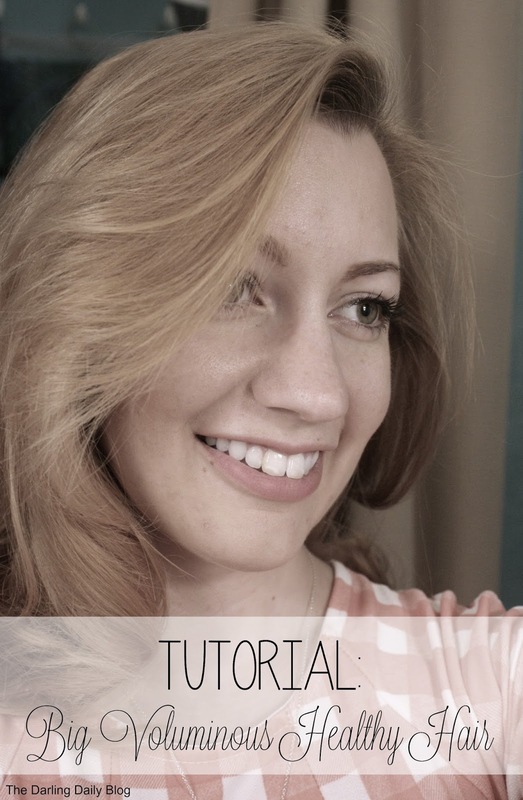 Check out how I style my hair to feel like one of the stars! Step 1: After showering, I apply Tresemme’s Split Remedy Leave-In Conditioner to the ends of my hair. Step 2: Blow dry! I maximize the volume by blow drying my hair upside down. While my hair is flipped over, I gently pull the roots towards the floor. Gently! Once the roots are mostly dry, I flip my head right side up and then blow dry my hair to one side. Once the roots are dry on that side, I hit the “cool” button on my dryer to “freeze” the volume. Then I repeat to the other side of my hair. Step 3: Utilize hot curlers! I. LOVE. HOT CURLERS. I apply my largest curlers to the top section of my hair and the medium and small curlers around the rest of my head. I prefer curlers that come with metal holders rather than plastic clips. These ensure I don’t get any dents in my hair while the curlers cool! 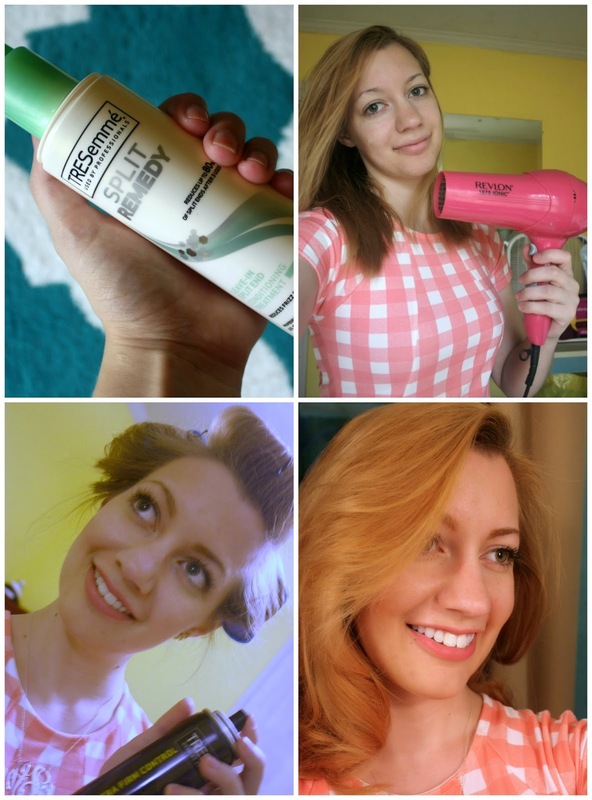 After all of my hair is in curlers, I’ll spray on a layer of Tresemme Firm Control Hairspray. Step 4: Once the curlers are completely cool, remove the curlers. If I want maximum volume, I’ll tease the top sections and the sections framing my face. Just use your fingers to gently tousle hair and shape the curls. Vava voom! Red carpet ready hair! Walmart and Tresemme have teamed up to bring you gorgeous hair this awards season! You can find more information and styling videos here! How do you style your hair to feel like a star?